On March 19, 2019 we lost a very special, kind and giving man. Our dad, papa to his grandkids, and a genuine friend heard his calling and went home to be with our heavenly father. Larry J. Ledum passed away peacefully in Mead, Wash. Larry was born on Aug. 22, 1944 in Libby, Mont. to Florence and Jerome Ledum. He resided in Libby throughout his childhood. 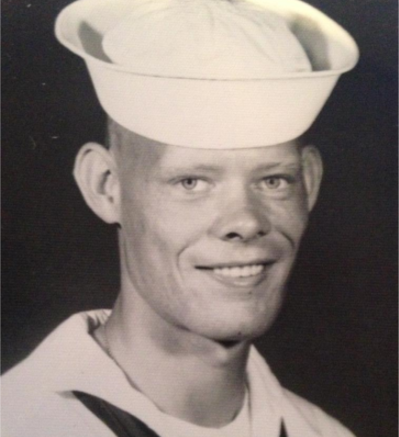 On Aug. 30, 1965 Larry enlisted in the U.S. Navy and boarded the ship vessel USS GURKE where he traveled to many parts of the world during his four years. In August 1966, Larry married the love of his life, Clarene (Kay) Nepstead and they had two daughters, Kristy and Stefanie. Larry worked for BNSF Railroad in Libby, Mont. and took a job transfer to Seattle, Wash. where he moved his family and settled in Everett, Wash.
Larry was able to retire early and do some traveling with his wife before she became ill in 2000. His next adventure took place when he decided to sell his home in Everett, Wash. and move to Spokane, Wash. with his daughter’s family. He bought a house with some acreage and settled into retirement. Larry had many hobbies which included many coastal visits to Washington and Oregon, playing the piano and guitar, reading, watching movies and just spending quality time with his daughters and their families. Larry was also a master wood worker and learned this trade from his father. Larry was preceded in death by his wife, Kay, mother, Florence, and father, Jerome. Larry will be greatly missed by his daughter Kristy and son-in-law, Bill Day; his daughter Stefanie and son-in-law, Matt Nelson; grandkids Britney and spouse Billy Morden, Collin Day; Kaytee, Kinzie and Kali Nelson, and great granddaughter Kymberlie Morden. Services will be held at 2 p.m. at the Schnackenberg Funeral Home in Libby on Thursday, March 28, with burial and military honors to follow at City of Libby Cemetery. Arrangements are by Schnackenberg Funeral Home in Libby. Online condolences and memorials may be shared at www.schnacken bergfh.com.